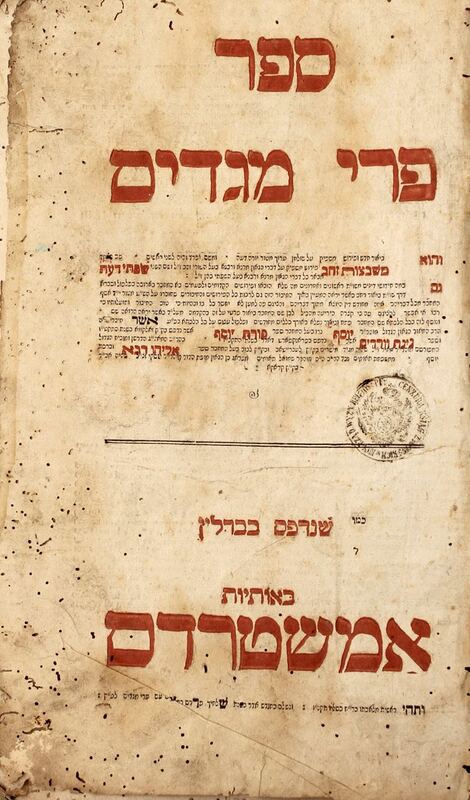 On the Shulchan Aruch Yoreh De’ah, one of the most important books of halacha, by Rabbi Yosef Teumim. Second edition. Page before the cover has a signature of ownership. Cover page has red and black ink. Stamp of the censor. Original binding is disconnected. Pages disconnected. Moth damage. 149 pages. 38cm. Bad to ok condition.